Brought in a collection of US Coins having no idea what they were or what they were worth. Houston Gold Buyers took the time to go over every single one and were extremely knowledable. There was no pressure to sell and I really appreciate the honesty and assistance. Absolutely would work with them again. Had an awesome experience. They was a very educated and experienced staff. They where very friendly and had great recommendations on watches. Was supprised at the extencive coin collection, along with the vintage wall clocks. Would definitely recommend. I will be back for any of my watch inquiries. I used google and choose this location due to its high reviews. I wanted to sale some miscellaneous silver bars and coins. The staff is very courteous and knowledgeable, as well as a pleasure to interact with. I received a very fair market value on my silver. When I am ready to off load a larger amount of gold and silver, this will be my go to place. They also have a nice collection of coins and watches. My family and I have dealt with Juan many times. He is extremely friendly and helpful. 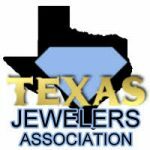 Houston Gold Buyers' prices seem very fair. I will definitely continue to do business with Juan. Very nice people, great price for my metal, and smooth transaction process. Houston Gold Buyers took great care of me and were extremely helpful and knowledgeable, highly suggested A+++ resaler! Pete and Tanya never cease to be courteous and helpful! They are always friendly and care about educating their customers! It’s a pleasant and unexpected comfort in a business where people can easily be taken advantage of! They’re the best!!!! Great place I love it,Tanya was very responsible and I enjoy coming here for my first time. Nice people and great service!!! Such a great experience this afternoon! I had a few gold rings to sell and after seeing the reviews I decided to make the drive from Katy to come here. I sold some gold years ago, and just felt taken advantage of after I left. This time I did my research before going in and I was given such an honest price! The customer service was amazing- both of the people who helped me were beyond friendly. They were just chatting with me like we knew each other- you could tell they were happy at their job! I will definitely recommend this place to family and friends! We’ve been looking all over town and this place gave the best price for our silver coins and jewelry. Parking is so easy and getting here is even easier. Montrose is a great area and they helped explain the process thoroughly! Great service & I believe they gave me a fair price for my jewelry. Thank you Juan, Pete, & Gonzo for being awesome! Excellent transaction selling my small coin collection. Nick was extremely knowledgeable and professional. Honest and ethical. I highly recommend this place to any one wanting to sell or buy their unwanted silver, gold, etc.. excellent customer service, always quick and fair when dealing with the customer. Always felt welcome. Thanks to Tanya and her coworkers, for their genuineness. Excellent customer service and very friendly staff. I got a fair deal! Wonderful experience! It was quick, easy, and the most honest experience with a gold buyer I’ve had! Really great service, and welcoming environment!!! They were so kind ❤️ and we felt safe coming here. Great customer service. I received a fair price for my Silver and Gold. Nice people! Great service always friendly and helpful, 1st choice always when selling my precious metals. I would recommend this shop completely. I received a good price and the service was great. Excellent customer service. Great rates. Highly recommended. Tanya was excellent when I went by Houston Gold Buyers. Very Knowledgable and very fair prices. Was in and out in less than 10 minutes. Great selection of vintage coins, collectibles, watches and jewelry. Will be back again! Great location! Workers were friendly and helpful! They were fair and I was in and out in no time. Also a great selection of gold to buy!